For successful summer holidays in the mountains, book your accommodation to La Rosière in Northern Alps massive, Savoie. This mountain resort will offer you exceptionnal areas and surprising landscapes. Your summer accommodation to La Rosière will be for you a moment of wellness in the heart of a beautiful nature and you will spend holidays in wide open spaces. Our moutain offers will make you live warm emotions with all your family. We propose you quality holidays accommodation in all French massives, in the heart of mountains. 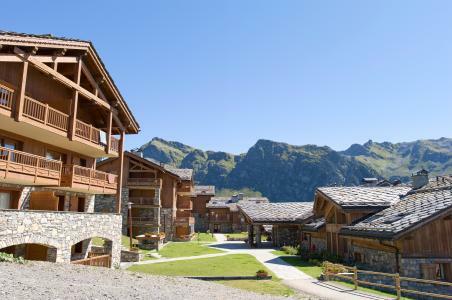 We have many residences to rent for your summer to La Rosière. Let yourself be carried by a feeling of happiness, enjoy the summer holidays in the mountains full of sun and discoveries ! The residence Le Hameau de Barthélémy is situated in La Rosiere resort. You can take advantage of the wonderful view. Shops and the village center are 350 m from the residence. You benefit from a SPA, and enjoy cocoonning holidays in this residence. A hamlet of large cosy chalets with a traditional Savoyard architecture. Les Cimes Blanches**** welcome you in beautiful apartments enjoying a panoramic view. Your are sure to escape between large indoor heated swimming pool and relaxation thanks to the Jacuzzi, for holidays suitable for old and young. Luxury residence 4 **** made in a style from Savoy, situated at 300 m from the center. Spacious and confortable flats, fully equipped. Including in the price : bed and bathroom linen, wood for the chimney, cleanup (except kitchen). You can enjoy relaxing in the private indoor heated pool (27°C) and sauna area. Located on the slope of Les Eucherts. "Les Balcons de la Rosière" composed of 8 chalets respecting the traditional way of life.These chalets benefit calm, a beautiful view of the mountain of the Tarentaise. Indoor, you will discover a lot of services with the mountain style. 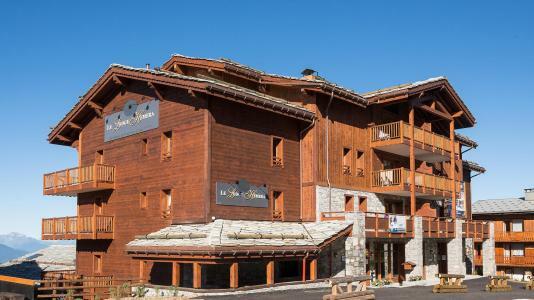 The residence Val Rosière is situated at 200 m from the resort center of La Rosière with its stores. The building is composed of 4 levels without lift. The comfortable apartments offer a view on the pedestrian street and a partly unobstructed view on the mountains. Parking subject to availability. 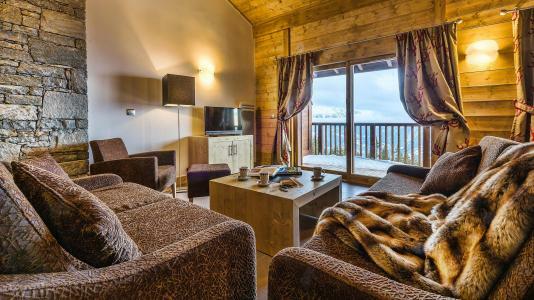 The Chalet Les Marmottons**** is located in the resort of La Rosière. It is composed by 33 apartments directed South/South West, on 2 chalets of 4 floors. 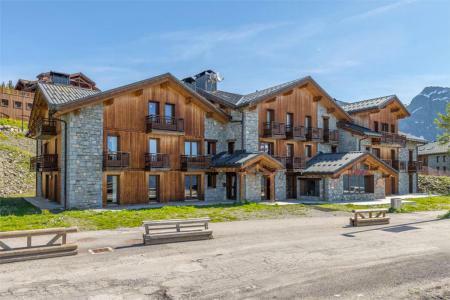 You will be charmed by the huge view over Les Arcs and the "Mont Pourri", as well as over Tignes. The residence is at 300m from the center, shops and restaurants of the village. Les Chalets de la Rosiere is a residence without lift. Shops and the resort center are located 200 m from the buildong. You can take advantage of the wonderful view over the landscape. 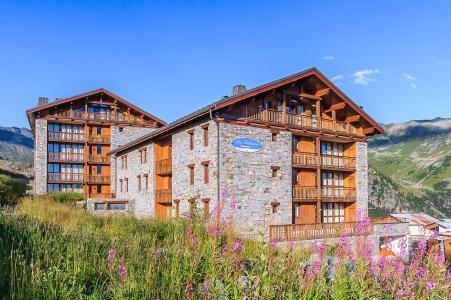 The residence Valaisan I is situated in La Rosiere resort. It is located in Chavonnes Hautes district. The village center and shops are 200 m from the building. The residence les Chavonnes is situated in La Rosière resort, in Les Papillons district. You'll access to the resort center and shops 200 m away from the residence. 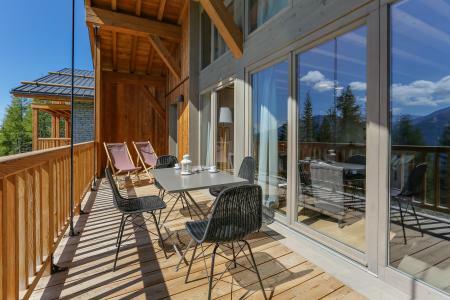 This small chalet, Lodge Hemera****, with a traditional Savoyard architecture has an exceptional position: in the heart of La Rosiere, only a stone's throw from the commerce, a southerly orientation and with the most awesome 180° views over the Tarentaise valley and of the Les Arcs domain opposite. Each apartment will come with a large terrace or balcony and will have high quality finishes: fully fitted kitchens and bathrooms. Decoration incorporating a modern touch yet still keeping authentic materials (wood, granite, stone...). Each property comes with a ski locker. Make your stay as comfortable as possible !